We had a hard time with this latest big sampler, but finally it is fully unlocked again! We wish this will be better than before. 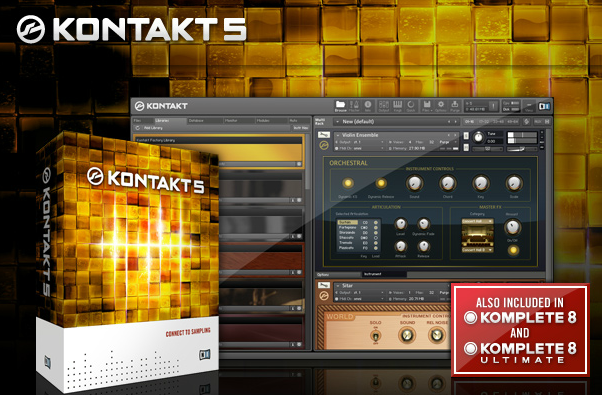 NI says that KONTAKT v5.0.1 will be released soon. To make our next release perfect, please try this one and report us if there are any protection errors with this release. Of course, this one is well tested and works fine here. - KONTAKT 5 Full version. - Capable of loading third party libraries without any activations. - Capable of editing password-ed KONTAKT SCRIPTS. - Support old libraries and special libraries. It seems that our installer loader failed to modify the registry. Please run the installer with Administrator rights. 2.Remove the Library which has problem.